Idea Bubble - News: Little Dreamers Preschool goes live! Little Dreamers wanted a revamp on their current Website, so they came to us! We provided a tidy template website and our Website CMS Product, a wonderful combination. 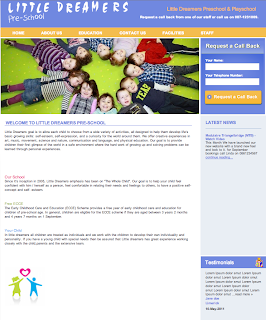 This small pleasant Preschool now own a colourful website to match their image! Visit their Website!